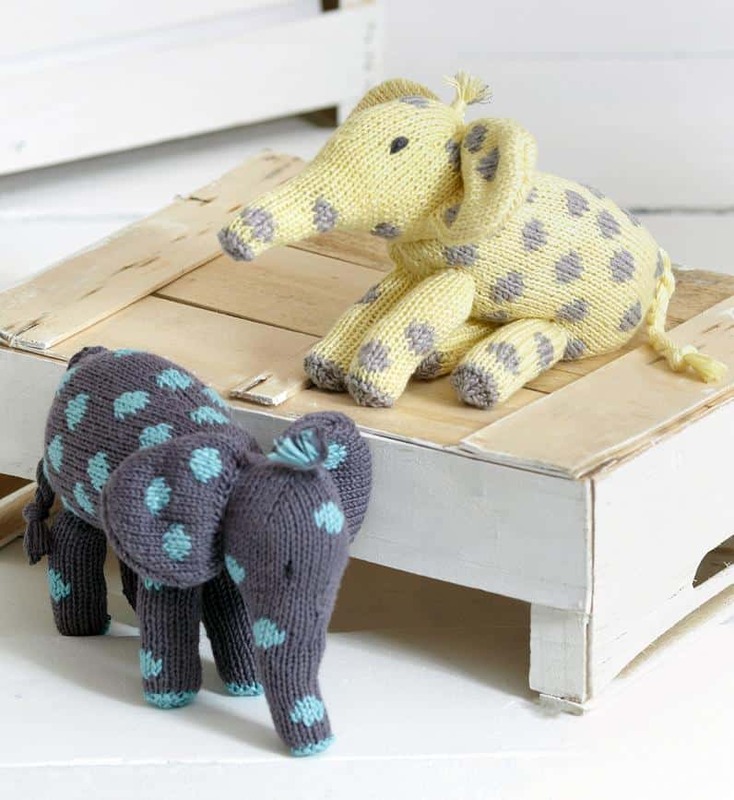 Do you fancy having a go at some knitted animal patterns? 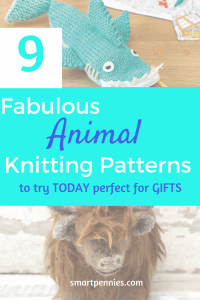 The Knitted Animal Patterns for fabulous handmade gifts selection below would be wonderful as gifts for all ages. There are lots of options from toys to pencil cases to draught excluders it up to you to experiment with colour and yarn size to get the look you want from these patterns. Whats stopping you from making up a gift TODAY! Each pattern will have a different needle and yarn sizes so if you don’t have the right colours or needles then I suggest Deramore they are available in the USA and internationally so don’t worry if there is something on there that you love you can still order it! I use Deramore in the UK for supplies and if you buy Simply Crochet or Inside Crochet you will find a 10% off coupon to use to online at Deramore. Stylecraft yarn – is great if you want a cost-effective alternative to wool in some fabulous shades. And if you want great value cotton again Stylecraft comes in at a very good price. Rico Design yarn in cotton is another one I use a lot you can find it in Deramore range too so if you want to try it out today check out the website to see what yarn you fancy today and don’t forget to use the 10% coupon from Simply crochet magazines. Presenting Dale the shark from Letsknit FREE pattern download. This is such a cute design. 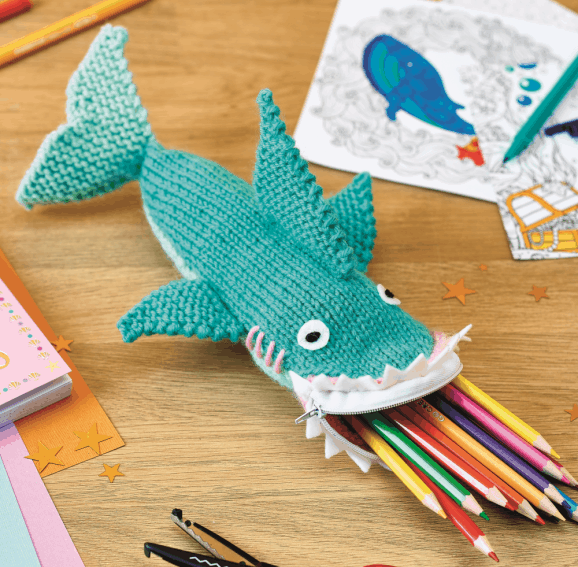 It’s a shark and a pencil case how cool is that! Looking for an unusual present for Valentine’s day? How about this wonderful pair? Bella and Basil Budgies the perfect partners. 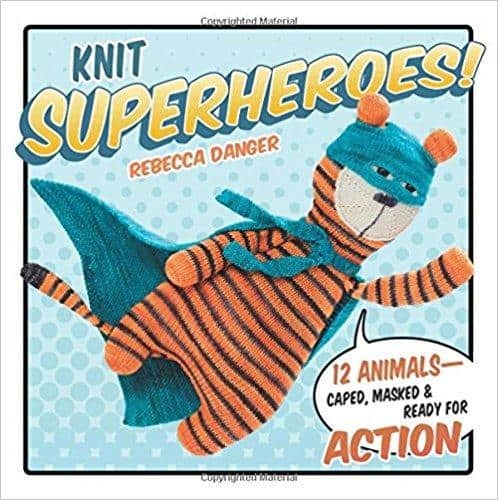 This is a fabulous book for beginner to the expert knitter to knit these lovely animals disguised as superheroes. Any one of these would make a wonderful gift for friends or family. If you want purchase the patterns you can find it by clicking the link below on Amazon along with reviews about the book. 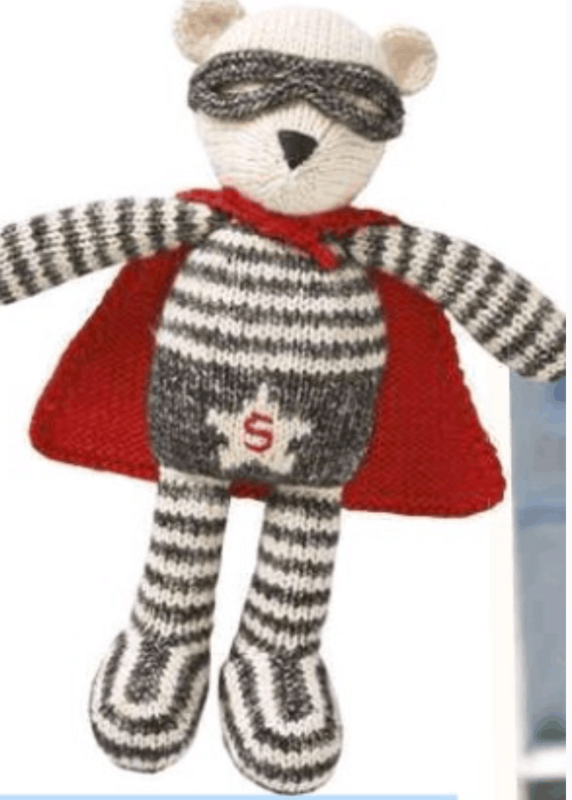 How about a cute superhero teddy from Simply Knitting magazine. This is a free pattern for this sooo cute teddy so if you don’t fancy buying the book above then have a shot at this pattern. You have to read it along the page rather than up and down. To get the full pattern. He is FREE to use so check him out HERE. 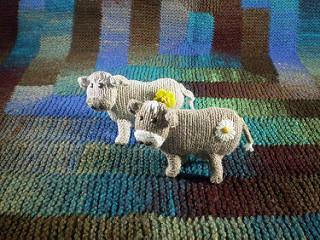 Oh so cute farmyard cows which would suit any homesteading country kiddies! They have a little daisy and buttercup on their hind quarters ahh so nice. You can also make a donation if you like the pattern to childrens liver foundation. 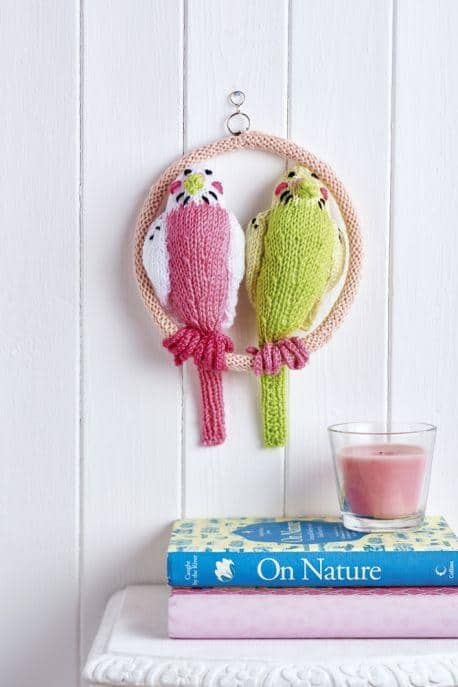 How about this pattern it is amazing its knitted then felted and comes with a complete kit. 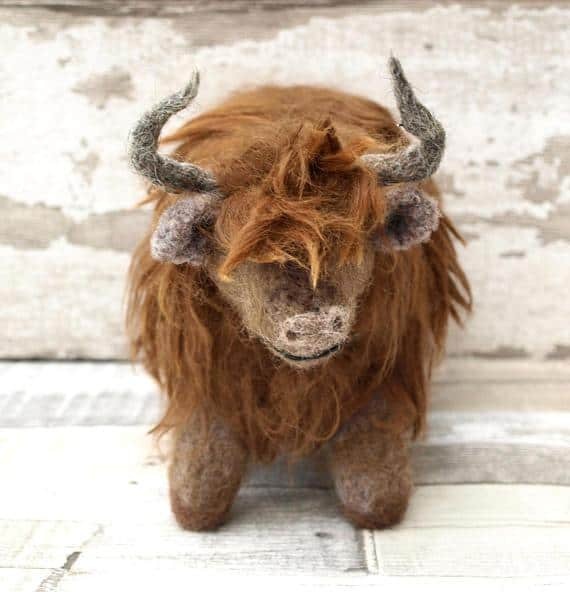 This would be a perfect gift for a crafter or knitter and someone who loves Scottishness! 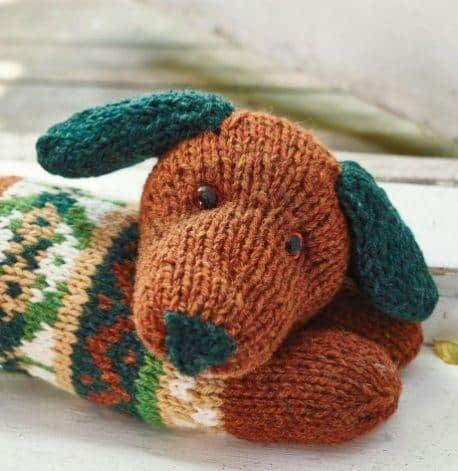 He would make a wonderful present for any knitter or crafter and if you feel he might be for you then click HERE to check him out! If you are looking for tonnes of Elephant patterns for FREE then check this link HERE . It has some seriously cool pattern. These should give you instant inspiration to make a fabulous gift. 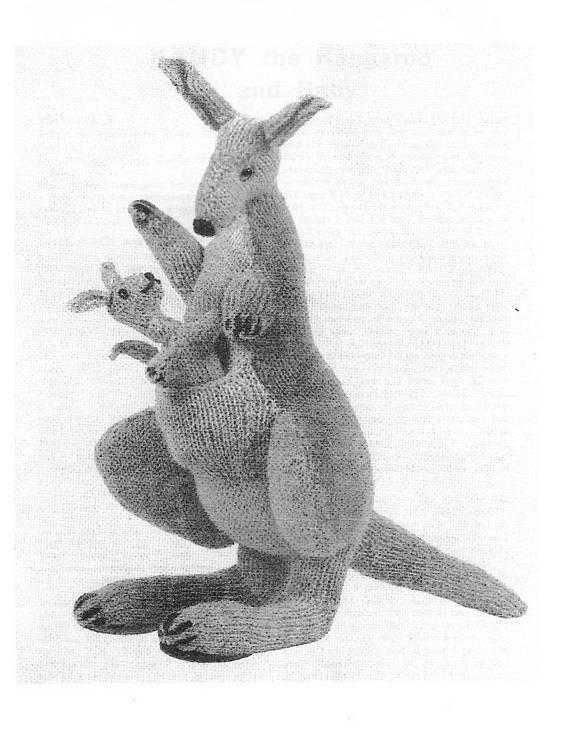 Absolutely adorable this pattern for Kandy the Kangaroo and little Joey. Who wouldn’t love it as a present! If you want to give Kandy a go you can find her HERE. How about a Sausage dog that’s a draught excluder perfect for friends or family will need something for the winter months? You will need to be an experienced knitter for this one with the Fair Isle pattern. Just wish I could do Fair isle! If you feel up to the challenge check out this pattern HERE its FREE! That’s my top picks of patterns for you to choose from. Hopefully, you have something to choose from. 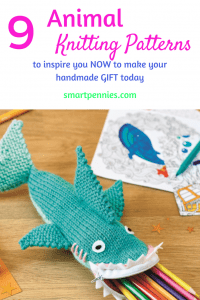 It’s time to pick up those needles and get making especially if you need to make up something for a present or for Christmas – Yes I know its only summer but you it does come quick! Its that time of year when you need to be thinking about handmade Christmas gifts and to help you with this Ultimate bundles is offering their annual Handmade with Love package which includes not only Knitting resources but also crochet resources all for the Fabulous price of less than $50 dollars interested to find out more then click on the link below. That’s a 95% discount on an incredible digital collection of 200+ patterns, projects, and step-by-step tutorials for literally months (or years!) of handcrafting bliss. Get the Handmade with Love Super Bundle for only $47. This bundle is backed by a 30-Day Happiness Guarantee, so you’re welcome to give it a try and return it later if it’s not a good fit.